A CD-ROM (Compact Disc Read-Only Memory) is a pre-pressed compact disc which contains data that is accessible to a computer for data storage and playback, but which cannot be written on further by the computer. 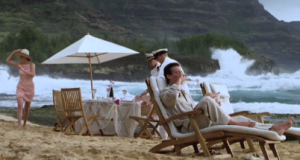 They can be used with interactive interfaces in order to make accessing the data on the CD simpler for the user. 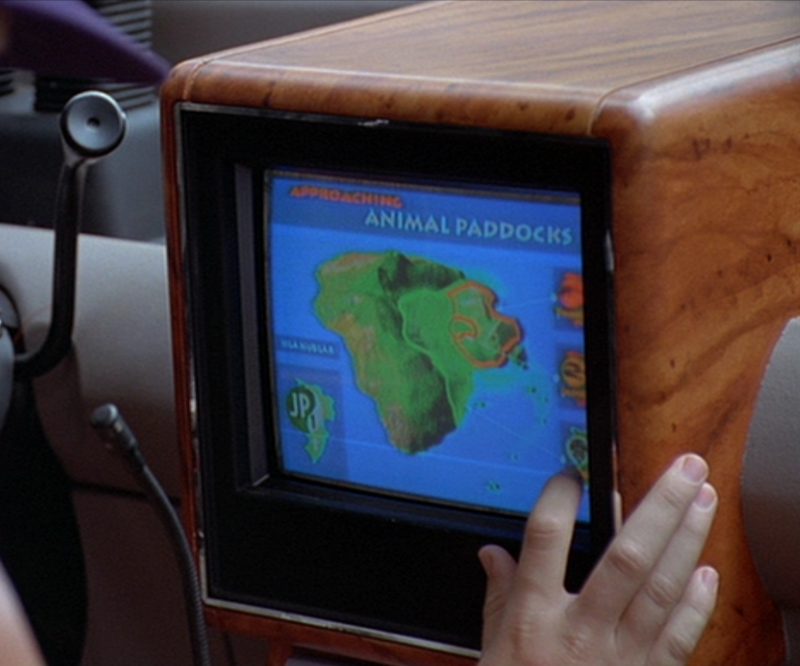 The Jurassic Park Tour Cars on Isla Nublar were equipped with CD-ROMs to let guests learn whatever they wanted about Jurassic Park, and utilized a simple touch-screen as the interface. 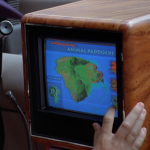 Among the information contained in the CD-ROM was information about animal paddocks and their locations and facts about the dinosaurs.